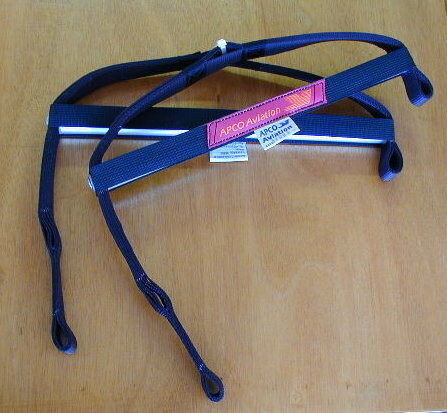 The Old Glider & Harness Archive Looking for info on a older Apco Glider or Harness? e.g. Allegra, Simba, Sierra, Santana, Finesse, Silhouette, Fiesta, Keara. Some of our gliders are available with unsheathed competition lines. If you order a new glider such as Simba, It is possible to ask for it to be factory rigged with comp lines instead of standard. *****D Most of our gliders are certified with the DHV. If you live or fly in areas where you require your glider to have the DHV Stamp on it, or if you need it for your insurance to be valid, make sure to ask your dealer to order a glider with the DHV Certification Sticker. When you order a glider from Apco, the default certification is AFNOR, DHV Certified Gliders are supplied only upon request.